It’s NOT TOO LATE! 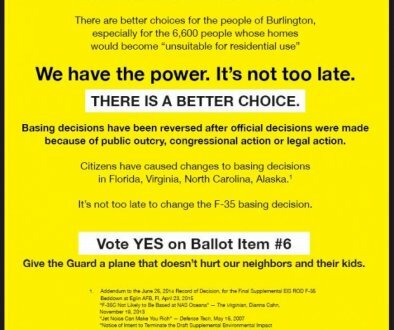 We can still save our communities from the inappropriate F35 basing in our residential neighborhoods! Burlington voters — please help by voting YES on article #6 at Town Meeting Day on Tuesday, March 6.